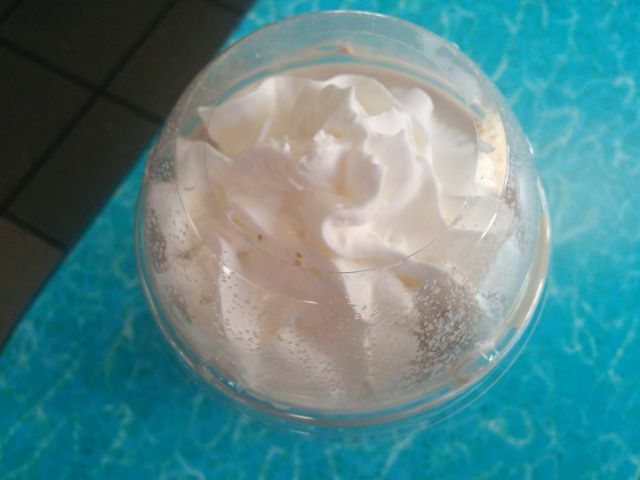 Burger King's Dr. Pepper Shake features a combination of vanilla soft-serve and Dr. Pepper syrup topped with whipped cream. A regular shake cost me $3.59. The shake itself is lighter in color than I expected it to be. It was a neutral beige, whereas I expected a slightly darker tone considering the dark Dr. Pepper syrup I saw the worker squeezing into the cup. Despite what seemed to be a lot of syrup in my cup, I actually found the Dr. Pepper Shake to be disappointingly low on actual Dr. Pepper flavor. It lacked the distinctive herbal notes that I associate with Dr. Pepper, which has always tasted like a mixture of root beer and cola to me. It primarily tasted like a plain vanilla shake to me with a tiny hint of something akin to licorice on the end note, but I had to really search for it. Dr. Pepper flavor was definitely not at the forefront. What was abundant, however, was an incredible amount of sugar. The shake was extremely sweet to the point of being cloying. Had the syrup actually tasted more like Dr. Pepper, it might have helped tame some of the sweetness. 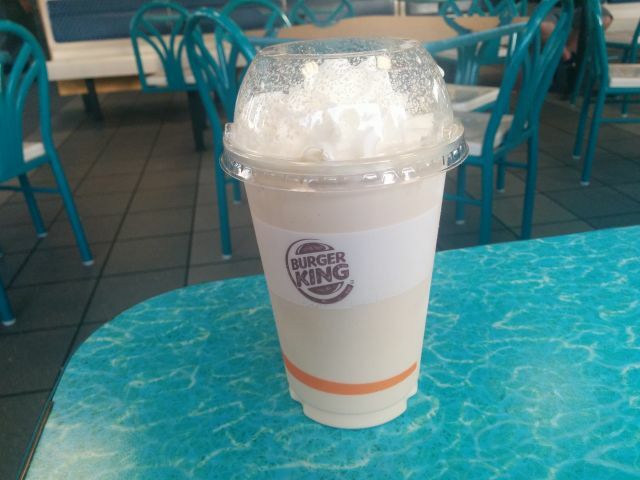 As it was, it tasted like a super-sweet, mostly vanilla shake. Consistency-wise, the shake itself was very thin. It was immediately drinkable the moment I received it, which some people may prefer. I like my shakes a little thicker personally. I would say that the shake was completely melted within 10 minutes, so I felt like I was drinking a cup of melted soft-serve. And since it was so sweet, I couldn't drink it quickly. Overall, Burger King's Dr. Pepper Shake was like a Dr. Pepper shake for people who don't actually like the taste of Dr. Pepper at all. If you enjoy the namesake soda like I do, you might find yourself disappointed in this generically sweet concoction.